The Old Rectory situated on Boat Lane was once home to the World War II ace fighter pilot Sir Douglas Bader. He lost both legs in battle and recovered enough to fly again. The Rectory is now owned by Trevor Miller who paid to have the water pump (shown below) moved from Main Street to the entrance of The Rectory. A plaque is placed there to commemorate the getsture. The plaque commemorating Sir Douglas Bader's childhood at The Old Rectory. 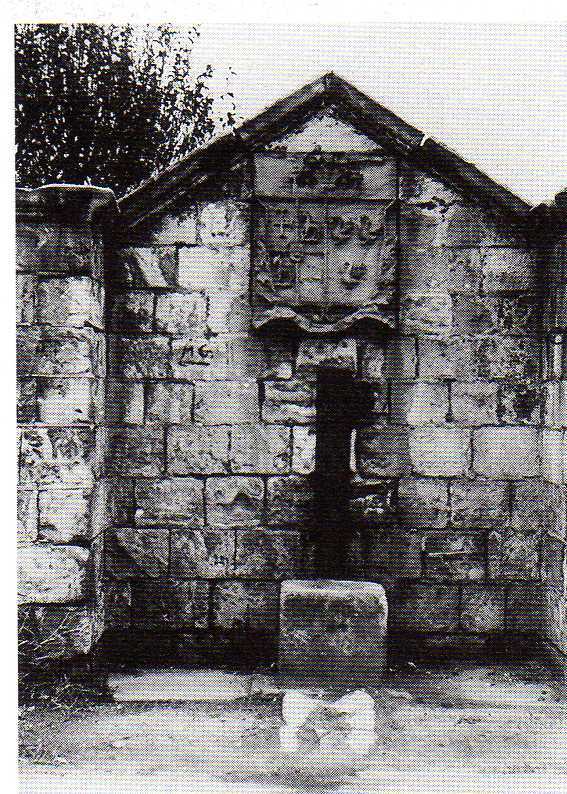 Sprotbrough water pump was originally situated at the Estate House on Cadeby Lane. It is now situated at The Old Rectory on Boat Lane. The water pump in Sept 2007 outside The Rectory. The plaque commemorating the moving of the water pump in 1987. 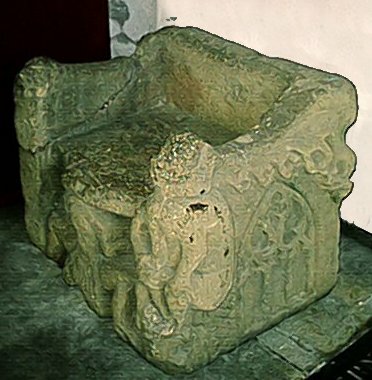 The Frith Stool situated in St. Mary's Church.